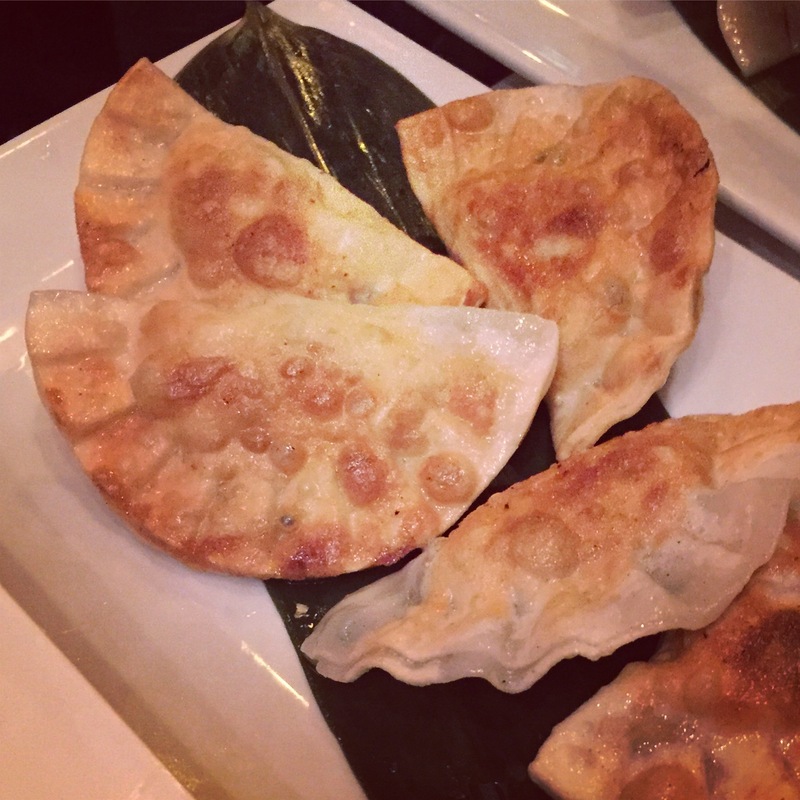 Manhattan’s Upper West Side is replete with Chinese, Japanese, Thai and Vietnamese restaurants and I am continuing my tour of the neighborhood. You can find spots selling home-style and regional dishes (Xi’an Famous Foods, Lava Kitchen and Sun Chan), places selling Americanized dishes as the gateway to traditional cuisine sections on the menu (Szechuan Garden), great Cuban-Chinese fusion joints and restaurants selling old-school 80’s and 90’s style fully Americanized Chinese food. One look at the menu immediately told me which category Pearls fell into – Orange Beef, Orange Chicken, Sweet and Sour Pork, Beef with Broccoli, Mango Chicken… If the menu didn’t give it away the conversation at the next table did. My neighbors were lamenting that many old, classic Chinese restaurants like Pearls were closing down in the area and being replaced with restaurants catering to the Chinese students at Columbia University; one of the diners estimated that fully 30% of Columbia’s students are from China! (Actually only 17% of Columbia’s class of 2015 were international students and China was only the 4th top country of origin for international students). The group at the next table find the new Chinese restaurants in the neighborhood to be serving food that is too spicy, with too many unfamiliar ingredients… I think there is always room for a great American-Chinese restaurant in any neighborhood, sometimes you just want Sweet and Sour Pork, but I have also seen the Asian food revolution coming to the Upper West Side and it is good. 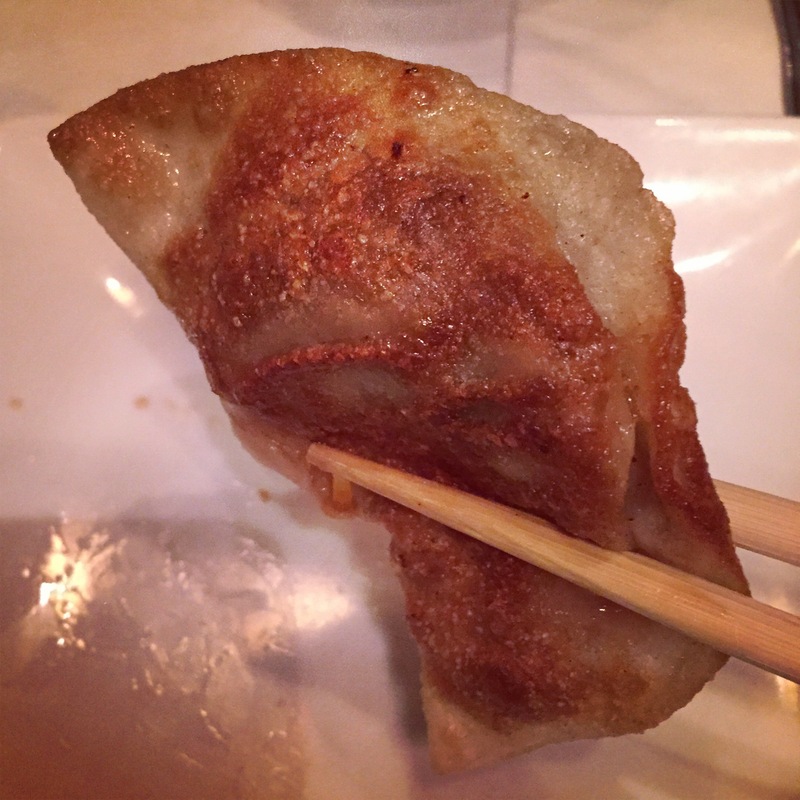 The Dumplings: Pearls’ menu has an impressively long selection of dumplings, in fact the entire menu is huge. They serve fried or boiled Pork Dumplings, Vegetable Dumplings, Spinach & Chicken Dumplings and Watercress & Shrimp Dumplings and Fried Shrimp Dumplings, Szechuan Dumplings with Hot Oil and Shrimp Dumplings with Hot Oil. I tried the fried Pork dumplings, fried Watercress & Shrimp dumplings and the Shrimp Dumplings with Hot Oil. Fried Pork Dumplings – the pork dumplings were stuffed full of pork with a little scallion mixed in, but were mainly salty tasting. The wrappers were thin and delicate and the dumplings were fried perfectly golden crispy on one side and were just steamed on the other side. Unfortunately the wrappers were so thin that the steamed side couldn’t really contain the filling, when I bit into the dumplings the meat ball filling kept bursting through the steamed side and falling out of its cloak. Dumplings with Hot Oil – for this dish Pearls uses large floppy wontons, so when it arrived this dish looked like a big bowl of noodles. 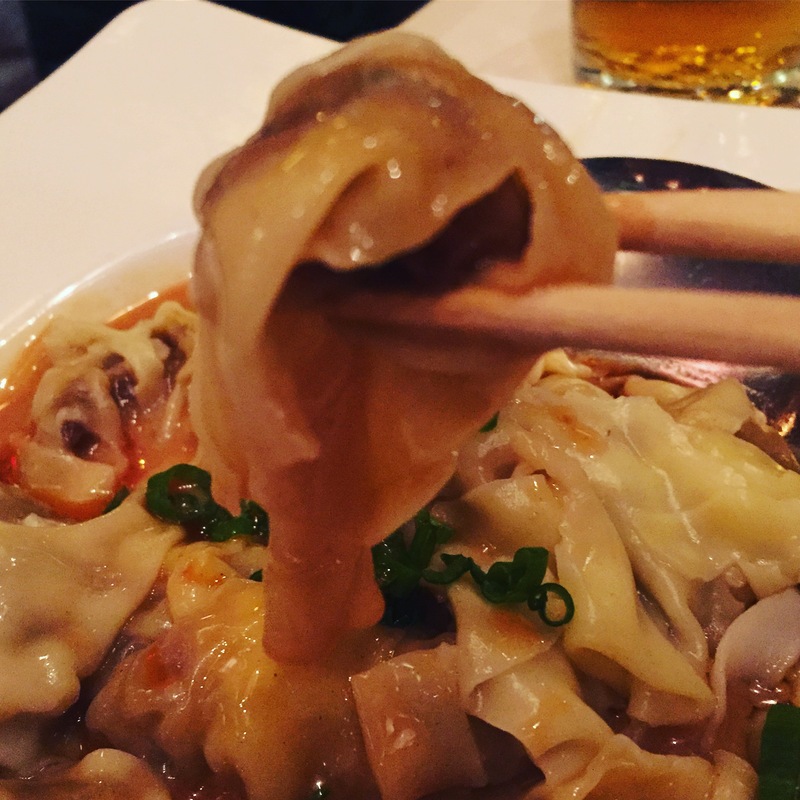 This is my favorite preparation for this dish, the wonton noodle that trails off the meat ball stuffing provides lots of surface area for the sauce to cling to. But while Pearls got the wontons right, the sauce was terrible, a bland mix of sesame paste, soy sauce and what looked like chili oil that had all the spice leached out of it. Watercress & Shrimp Dumplings – like the Fried Pork Dumplings these were fried perfectly golden crispy on one side and were steamed on the other side. Of the three dishes I tried this was by far the most successful. The watercress was peppery and the chunks of shrimp tasted sweet and fresh. These dumplings were really enjoyable, but the mix of watercress and shrimp was really uneven across dumplings. On the plus side, I took the unevenness of the filling to indicate that these dumplings were made in house. Dipping Sauce: The fried Pork and fried Watercress & Shrimp dumplings came with a generic sweetened soy sauce dipping sauce, pretty meh. As noted, the hot oil sauce that came with the Szechuan dumplings was terrible. The Location: Pearls is in Manhattan’s Upper West Side neighborhood on Amsterdam Avenue at 99th Street. 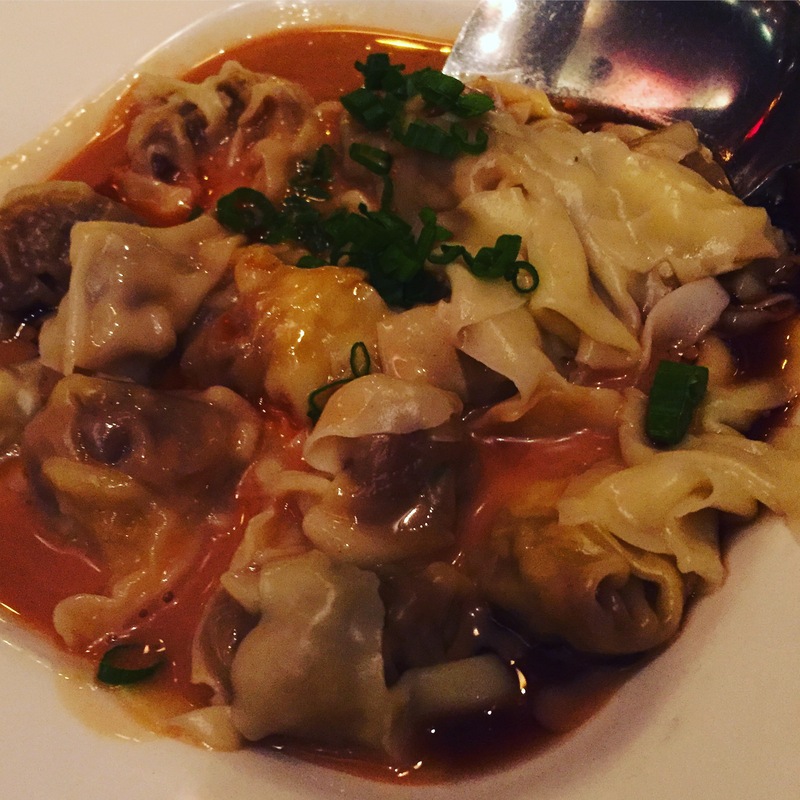 This entry was posted in New York City, Pork, Shrimp, Sichuan Dumplings. Bookmark the permalink.